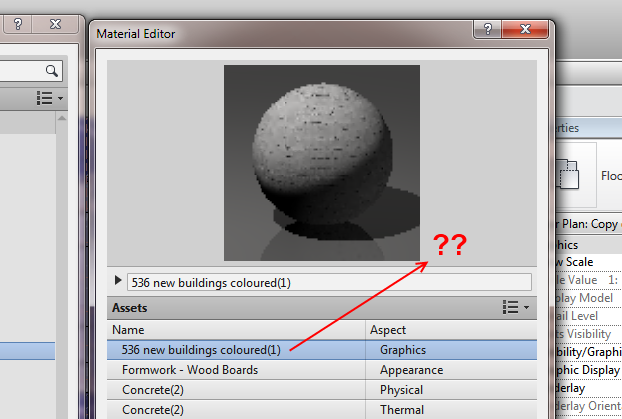 Many of us were quite disturbed by the 2013 Revit Materials Editor. Aside from its usability (or lack thereof), it seems to be much slower than the 2012 Materials dialog. 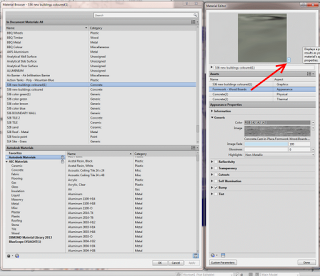 Until Revit 2014 comes around, what can you do to speed up the Materials Editor? Switch all the mat lists to text style, no rendered preview, open the Mat Editor and place it next to the Mat selector, then close it. Appears to be no way to adjust the rendered swatch? Aaron made similar comments in this post on RFO. 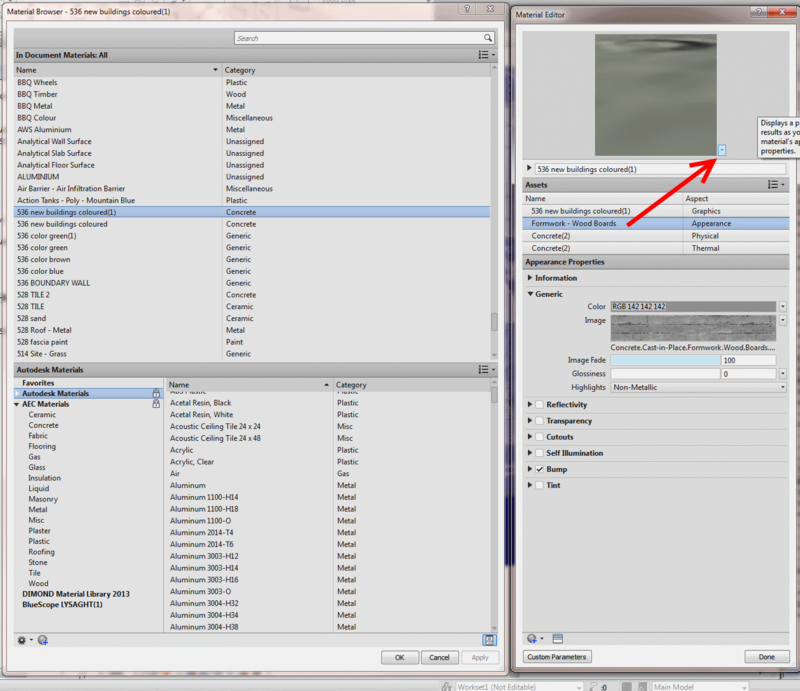 I would like to see some documentation from Autodesk to clarify what all of these actually do, but you can see the settings I am using. If you use Notepad++, you can also open MaterialUIConfig.xml, make some changes in Revit, and then when you switch back to Notepad++ it will prompt you to reload the xml – you can then easily see what each change you make in the Materials Browser / Editor actually does. Doug Bowers posted a very informative how-to recently about Autodesk Material Libraries. 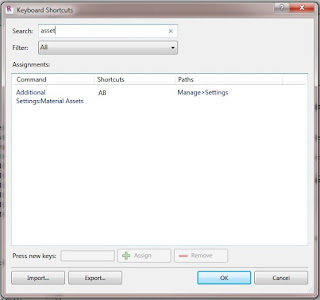 He shows you how to create a material library, add materials to it, and then share it with other users. Depending on the security permissions on the library file or folder containing the file, users may be able to add additional materials to the company standard or only be able to utilize materials contained in the library. Materials placed in the company folder are no longer linked to the original material and may be modified, resulting in a different definition of the material in the company library than the material in the folder from which it was originally copied. 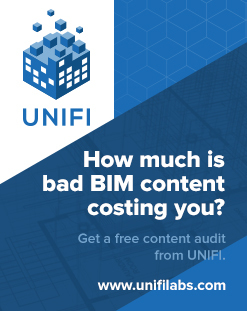 Good post over at Andekan on Revit Materials in 2013 – I have reposted three things I found particularly insightful below. You can’t open the asset browser unless you open a project material in the material editor. This is actually not true. You can open the Asset Editor and the Asset Browser without opening Materials. 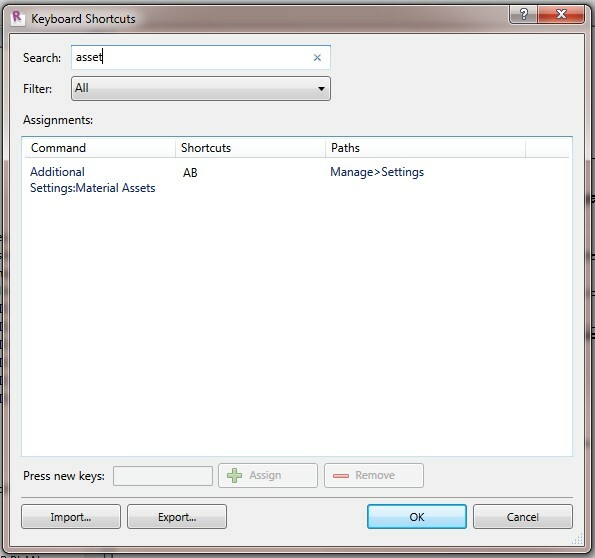 Just set a Keyboard Shortcut to Additional Settings:Material Assets. This will open the Asset Editor. 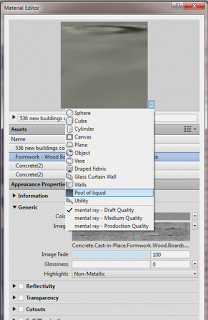 Then click the ‘lines’ icon to open the Asset Browser. Its kinda messed up, but you can do it. you can take a whole material from inside your project (called “In Document” materials), including all of its different property sets (now called “Assets”), and add it to any number of external libraries that you create. You can also add materials from one library to another. Libraries that you create are stored as standalone .adsklib files, just like the “materials” libraries (read “appearance properties”) of prior versions, so they can be ported and shared between installations with ease. These are groups of materials and/or assets that exist outside of any particular project or family. They are saved as standalone .adsklib files, and it’s important to note that a single library can contain both materials and assets. This makes perfect sense: if materials are made up of different assets, then a “materials” library must somehow contain appearance, physical, and thermal assets as well. 5. You can only edit materials and assets that are inside of a project. In a library, you are limited to viewing the names of materials and assets, and to performing basic functions like Rename or Delete. 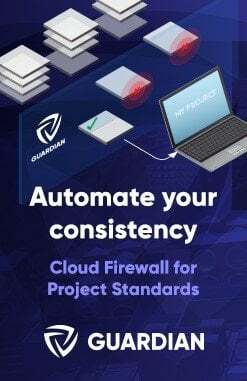 If you want to edit a material or asset that’s in one of your libraries, you have to: 1) bring it into a project, 2) make your edits, then 3) add it back into the library to overwrite the original version, and finally 4) remove the copy that’s inside the project (if you don’t want it there). 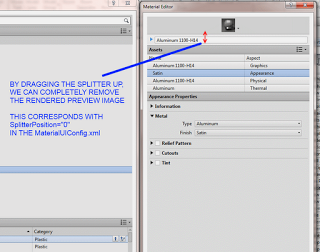 If you Open a 2012 adsklib file in the Material Browser in Revit 2013, chances are you won’t see any materials (even though Revit claims to be ‘upgrading’ the library). 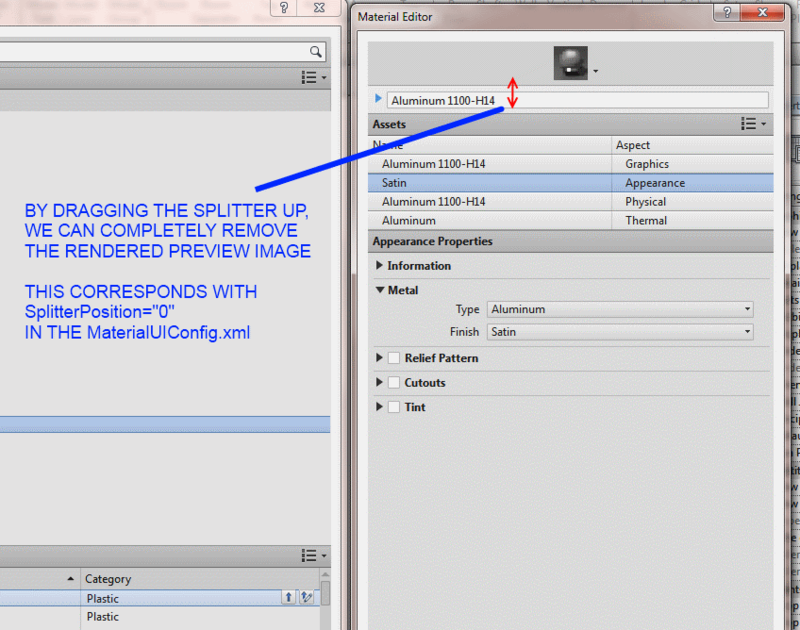 You need to open the .adsklib in the Asset Browser to expose the 2012 Appearance Properties for use in Revit 2013. You can see your 2012 Appearance Properties. Needless to say, the whole Materials UI concept and process in Revit 2013 is kinda scary? 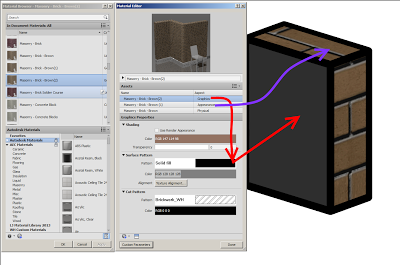 In Revit 2012, libraries contain property sets and do not contain any materials. 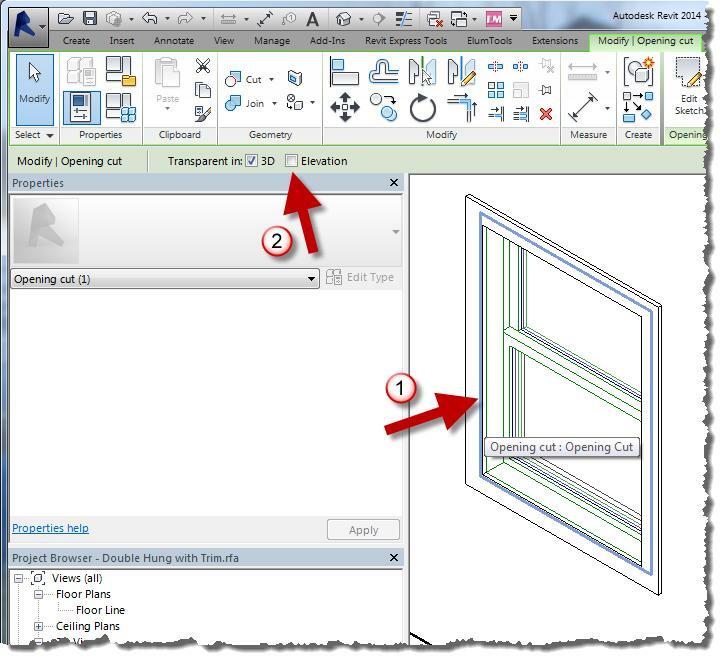 If you use the Material Browser to load a Revit 2012 .adsklib or .adstlib file, materials will not display and therefore a warning symbol will display next to the library name. 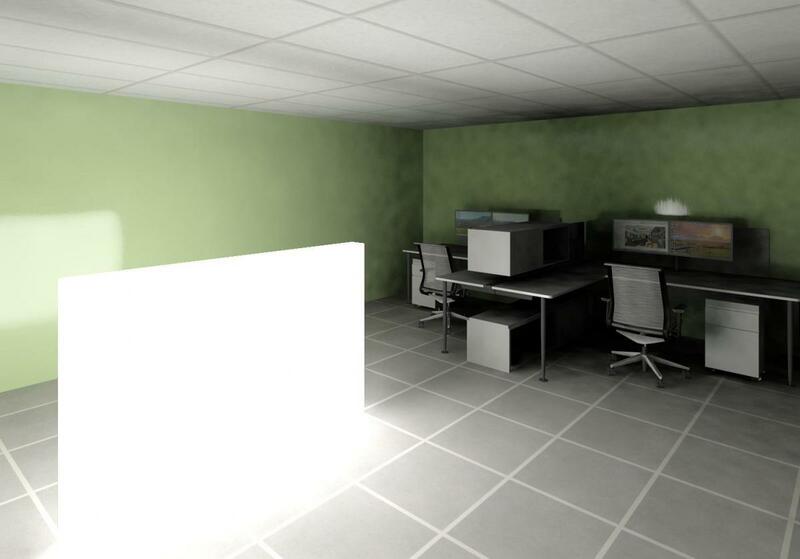 The data in Revit 2012 property sets will be migrated as assets in Revit 2013. 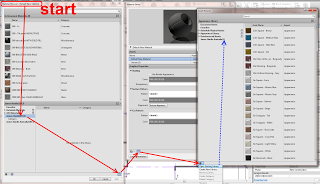 In order to access Revit 2012 property sets as Revit 2013 assets, you must use the Asset Browser to load the Revit 2012 libraries. If you have any other tips, feel free to comment.